Complete mastery of demanding, complex, technical, intricate and ultra-heavy music is one thing. The esoteric (but learned) ability to infuse those proceedings with melody, song-craft and memorable structure is another feat entirely. It's a precise and deadly combination of skill sets. In this lofty pursuit, The Human Abstract stands mightily. The Human Abstract stands alone. The Los Angeles musical alchemists have perfected their art through careful distillation of their many talents with their third and astoundingly impressive full-length album (and first through eOne), Digital Veil. "The emphasis on melody and the thematic material on the album is what may set us apart," offers guitarist / co-songwriter A.J. Minette, who returned to The Human Abstract for Digital Veil after an absence spent studying classical music at university. "Some of my favorite composers, like Chopin, are also great tunesmiths. Not only are his harmonies great but his melody is topnotch." Harmony, melody, classical infusions and breakneck anthemic metal collide across a wide spectrum of compositions throughout Digital Veil. The opening track alone boasts four part guitar harmonies, two classical guitars and a diverse array of color and textures not normally found in the genre. Careening unfettered into territories both familiar and unknown, the record makes its way to album closer "Patterns," possessed with a particular chromatic harmony that will challenge, unnerve and ultimately empower while lyrically exploring ideas about identity, personal transformation and purpose. The talent on display from guitarists Dean Herrera and Minette invigorates what has become a stagnant genre with a fresh injection, whether meshing alongside or intriguingly combating the rhythms scattered and gathered by bassist Henry Selva and drummer Brett Powell. New vocalist Travis Richter (ex-From First To Last) brings an all new passion to the forefront, dedicating his throat to the forward-thinking task of uniting the various elements of the band behind unmistakable hooks. "The music scene is all survival of the fittest these days," Richter explains. "If you're willing to go the extra mile and build something special around your skill level or your melodies, then you're delivering something potent and powerful. The glory of the age we live in is you can get that out to everyone." The version of The Human Abstract responsible for Digital Veil and who will present songs both new and old onstage going forward is functioning at heretofore uncharted levels of intensity and magic thanks to a convergence of events that couldn't have been planned and yet couldn't have worked out any more to their advantage. The reunion of founding guitarists Herrera and Minette was a stroke of divine providence, as was the recruitment of Richter last year. Herrera and Minette assembled the first version of The Human Abstract in 2004 with Powell, their original bassist and two different singers before the recording of their debut album, Nocturne (2006). It was after touring in support of that album that Minette felt called to broaden his horizons as a player and songwriter, choosing to explore a classical education. 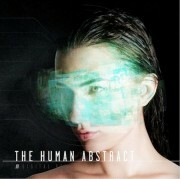 The Human Abstract went on to release Midheaven (2008) without him, further cementing the band's ever widening international fan base. Selva became the band's permanent bass player early the following year after a stint as a fill-in player. As the band started to look toward writing their third album they reached out to their old friend Minette, who was finishing his last year in music school. "They asked initially if I would come onboard to help with preproduction and stuff like that," he explains. "Once I started working with the guys again it was a lot of fun. The more I thought about putting my name on the album, I wanted it to be something I believed in solidly. I started having more input on the writing and I just transitioned into being a member of the band again. I was studying classical music and I felt like that artistic side of me was satisfied. It allowed me to let the metal band be a metal band and enjoy that while still utilizing some of the classical sensibility." Around the same time the group was having discussions about replacing their lead singer. "I was on the same page as them. I thought it was a smart idea," Minette says. "It's very difficult for any audience to understand the internal things that go on inside a band. Part of that is because we don't air those problems in detail. But there needed to be a change for the band to continue. It was absolutely crucial." Travis Richter knew the guys from years of traveling in the same circles on the road. From First To Last experienced numerous ups and downs throughout their career including Richter's own transition from guitarist to frontman. "When I left From First To Last I instantly tried out to be in The Human Abstract," he says, pointing out that he went through the same audition process as other singers. "I sang over a song of theirs. They liked what I sent them and asked me to sing over a new song. I recorded that and sent it back and they were really interested in hearing more. They flew me out to LA. I've been here ever since!" "He has a lot of things that he can do vocally," Minette says. "We leaned on Travis a lot for the morale of the band. Now it feels like a family. It's a bunch of friends instead of just a bunch of co-workers." One of the standout tracks on the filler-free Digital Veil, "Faust," serves as the perfect reintroduction of The Human Abstract. "It's the song on the record that has just a little bit of everything," says Richter. As a guitar player himself, Richter says he's been taking lessons from Minette from time to time. But their shared interest in precision and melody hasn't stopped the band from stomping straightforwardly when necessary. The album's title track is a straight-up barnburner. "There's no singing. It's all screaming. It's more of an intense, traditional heavy metal song," Richter says. "It uses a lot of theory but none of it is necessarily based on melody, aside from the fact that it's written inside of a scale." Wears Prada as well as festival packages like Vans Warped Tour and the Take Action! Tour. Undeniably Digital Veil will up the ante for their profile with fans and critics alike and the present incarnation is insanely impressive live. "The band is trying to just keep things really simple from a career perspective and make everything about the art and the music," Richter says. "That's a big thing for us. Even when we're rehearsing we're being very serious with it and slowing things down and making sure everything is performed properly. It's all about being able to deliver a skill to where people can see something in you and geek out on it. If you want your band's longevity and impact to be based on more than trends, you have to deliver a real skill."